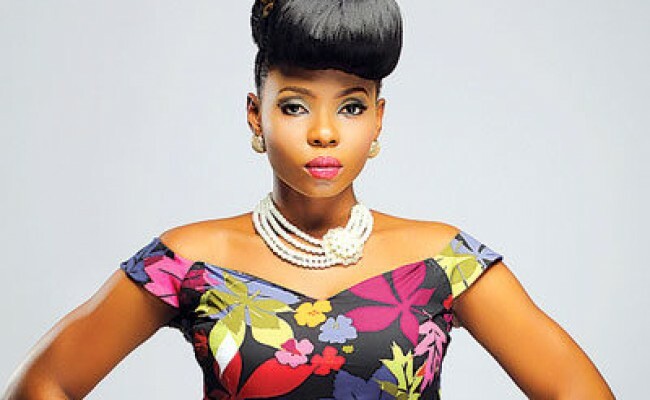 Is Yemi Alade inspiring materialism with her hit 'Ferarri'? Yemi Alade is one of the reigning babes of Naija music right now. For me, she's the best. Who can ever forget her amazing song and video Johnny. That was the song that really changed her level, though she wasn't new to the music game. From Johnny she keeps on releasing hot songs and cool videos to match like Tangerine, Kissing (in English and French), and Na Gode (in English and in Swahili) and so many more, working with Selebobo and Effyzzzie Music group. I think Yemi is quite brilliant to diversify her fan base by singing her songs in different languages. I was really impressed to learn that after she won the Peak music competition in 2009, she went back to finish her education before returning to her music career. Her funky Afrocentric fashion lives up to her new nickname of Mama Africa, which happens to also be the title of her latest album. No be mouth oh eh..."
Once again, the Queen of Kings, the Yoruba Igbo girl kills it with amazing fashion, dancing, and playfulness in the video. But as I continue to hear the song, I can't help but wonder, if this mentality will be now sinking into the minds of Naija and African ladies the world over. Will they be expecting cars and designer wear as mandatory gifts as proof of love? Na wa o, my brothers, e no easy. Perhaps Ms. Alade is just being the creative musician she is and making a fun dance hit, which is the more likely answer. All na levels, sha. Yemi is a graduate and a music industry giant. In her dating life, I'm sure she'll be meeting guys who can buy her Ferrari if she really wants. Many young ladies will not, so make you no put eye there. Don't shun a man who really love you for the fact that he can't buy you Ferrari o.
I do agree that love is not by mouth, though. You will be able to see if someone loves you by their actions. But please, don't make Ferrari be one of them. Maybe giving you a little salary that he can afford though. Haha :) I think it's right for a man to show his love by giving something every now and then, no matter how small. This is not an excuse for stinginess my brothers, o. Just do what you can. After all, the most important thing is for the two people to understand themselves.